Before qualifying as a solicitor in 2012 Aimée enjoyed a background in Compliance and Regulation in the semi state sector. Aimée originally trained and worked with a well-respected medium general practice in Dun Laoghaire. A majority of Aimée’s experience and focus is in litigation which includes performing her own advocacy at District Court level. Aimée’s typical litigation caseload includes debt collection and a variety of general litigation matters the most common being negligence and breach of contract issues. 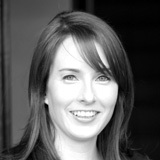 Aimée also has experience in criminal defence litigation in which area she also does her own court work. Aimée also has experience in family law matters including Judicial Separations, Divorces and all Court applications involving maintenance, access, custody, guardianship and domestic violence. Other areas of expertise include representing both landlords and tenants before the Private Residential Tenancies Board, advising as to the landlord/tenant relationship, advising management companies and conveyancing.